With the expansion of health care accessibility in the United States, nurse practitioners (NPs) are projected to assume increased responsibility for a large portion of primary care delivery. This article derives from my dissertation research, in which I explored the patient’s perception of the nature of the nurse practitioner’s care, specifically the preservation of holistic nursing values. I think this topic has special importance in describing the unique contribution which NPs make to primary care delivery. The impetus for this research came from my experiences in working with and being cared for by nurse practitioners in acute care, academic, and clinic settings. Many of the patients I came in contact with confided that they preferred the nurse practitioner’s care because NPs take time to listen to them and consider all aspects of their circumstances when providing care. These qualities are hallmarks of nursing care, which, I contend, is by tradition and definition holistic in nature. 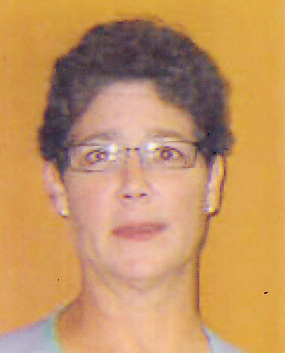 Furthermore, the incorporation of holistic nursing values in NP care exemplifies the value of the NP role for patients. 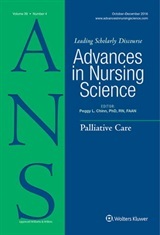 The majority of research into NP care has hitherto focused on satisfaction and practice style, and has been mainly qualitative in design, so this study, using a newly-developed instrument, represents a contribution to quantitative research on NPs that does not address provider-driven indices such as satisfaction, but rather patients’ perceptions of the preservation of nursing values in NP care. My dissertation research, guided and supported by Dr. Bernadette Lange and Dr. Ruth McCaffrey, was undertaken to develop and test the Nurse Practitioner Holistic Caring Instrument (NPHCI), a new instrument designed to gauge the extent to which nurse practitioners preserve holistic nursing values in their care. Results from this study support previous research findings regarding the holistic qualities of NP care, wherein NPs report incorporating holistic nursing values in practice; namely, patient advocacy, listening, non-judgmental acceptance of patient choices, and viewing patient conditions from a comprehensive, whole-person perspective. These are attributes which define holistic nursing care, and which the IOM1 cites as defining primary care delivery. Nurse practitioner care is posited to differ in essential ways from purely medical practice, most importantly in its attention to a relationship-centered, coordinated and comprehensive mode of care delivery. Exploring a care model which highlights the incorporation of nursing values in NP practice therefore has great significance for patients, practitioners, and educators in guiding care, improving practice, and planning academic curricula. In addition, it is hoped that studies documenting the nature and value of NP care will also inform policy creation and reform, especially in matters such as reimbursement, scope of practice, and collaborative regulation. Therefore, as next steps in this research, I hope to explore how holistic nursing values are incorporated in nurse practitioner care in larger, more diverse patient samples, and in NP program curricula, by revising the NPHCI for use in nursing faculty populations. 1. Institute of Medicine. The future of nursing: Leading change, advancing health. http://www.iom.edu/~/media/Files/Report%20Files/2010/The-Future-of-Nursing/Future%20of%20Nursing%202010%20Report%20Brief.pdf. Published October 2010. Accessed October 18, 2014. Download this important article now at now cost, while it is featured! Then return here to participate in discussion of your ideas based on Dr. Kinchen’s article!